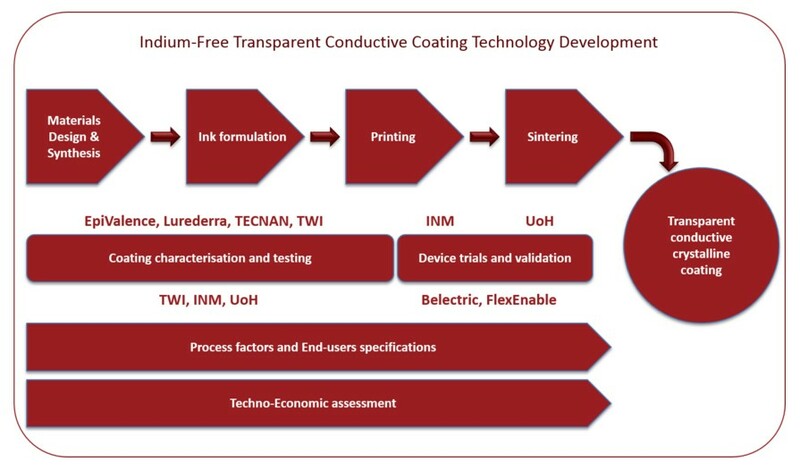 Targeting low temperature processing to produce transparent conducting coatings on thermally sensitive substrates the INFINITY project is a 3 year research programme that brings together European experts from all aspects of the fabrication supply chain. EpiValence, as a specialty chemical manufacturer, is tasked with developing novel materials and formulations to enable printing of films and tracks that can be further processed to yield transparent conducting layers and patterned structures directly. A key aspect of the project is to explore Indium free systems and EpiValence will use its expertise in organometallic precursor development to identify, synthesis, characterise and supply optimal materials.